Why Do UK Property Values Vary So Much? No matter what part of the country you're from, you'll have seen how diverse property prices can be from month to month, region to region. Why Do UK House Prices Vary So Much? The United Kingdom is an astonishing, although far from unique, country in how unevenly its property market is spread. The UK property values are incredibly diverse. Several years ago, the local authorities in Liverpool made national headlines by putting entire streets of houses up for sale at the princely price of £1 for a house (on condition that the buyer moved in and renovated their newly bought homes). 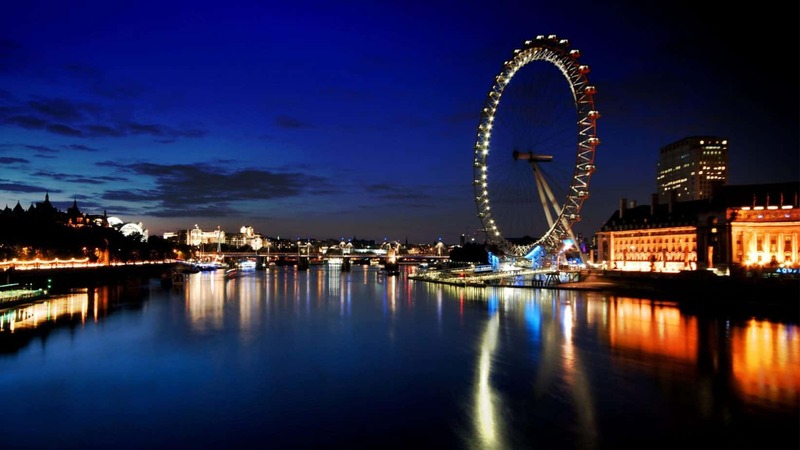 Yet two hours by train down in London, you will find the world’s most valuable residential property – Buckingham Palace. It is worth over a billion times more. The reason this small island has come to be home to houses valued at £1 and others valued at £1 billion (admittedly this is the exception rather than the rule) is down to an interesting mix of history and geography. Don’t worry. This is not a crash course in UK property, but more of a tour of Britain’s craziest property prices, and a few interesting facts as to why things are the way they are. Brits often complain about the dominance of the capital city. Other large cities like Cardiff, Edinburgh and Leeds very reasonably complain that they are not given the attention they deserve and that funds and people are funnelled towards London on an industrial scale. 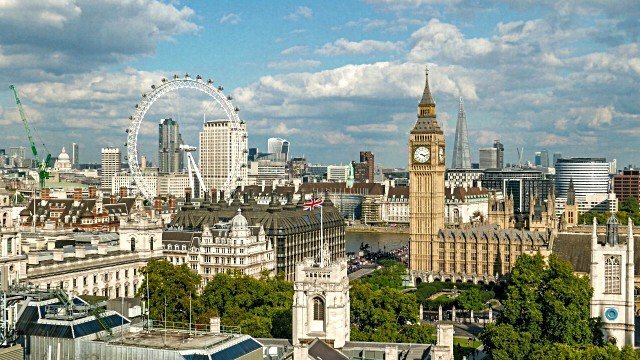 This may be true, but we forget that London would be the top city pretty much wherever it was – if it was an Asian city, it would dominate economically; if it was a city in continental Europe, its sheer wealth and the size of its economy would set it apart (as would its huge population). In fact, it is only New York that poses a serious challenge to London’s claim to be the world’s ‘capital’. The result of having such a large city in the south-east corner of England is that the UK property values are strangely lopsided. 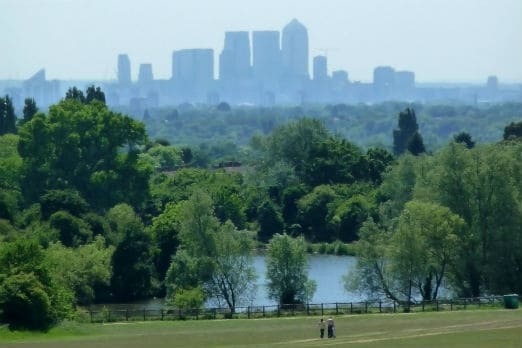 House builders scramble to build – and, more importantly, sell – in London’s sprawling suburbs. Anywhere with a quick and direct railway line into London has already been stuffed full of commuter estates. Increasingly, even towns and villages well into ‘middle England’ are being subjected to the same invasion of city-based families. The resulting property market has reshaped entire communities. The jury is out on whether this state of affairs will continue. Within London, plenty of new businesses are already shifting from the more desirable areas, in search of lower rents. Ambitious first-time buyers are choosing locations based on speculations of where new railway stations may eventually be built, in the hope of huge dividends when prices rise. For property owners who are lucky, new investments in their neighbourhoods mean big cash windfalls. For people in central London without high incomes, rising rents are making entire boroughs unaffordable and causing communities to disappear. As well as an interesting geography, the United Kingdom has a pretty colourful history. Over the last fifty or sixty years, the country has gone through a series of political revolutions that have shaken up the property market profoundly. Postwar town planners decreed half a century ago that the population should be more ‘evenly distributed’, leading to crazy policies including a government directive stopping Birmingham from expanding (businesses were not even allowed to open new facilities, leading to huge economic damage). With much of England, Wales and Scotland still content to leave the high life to London, property prices stayed low and investment in property was scarce. 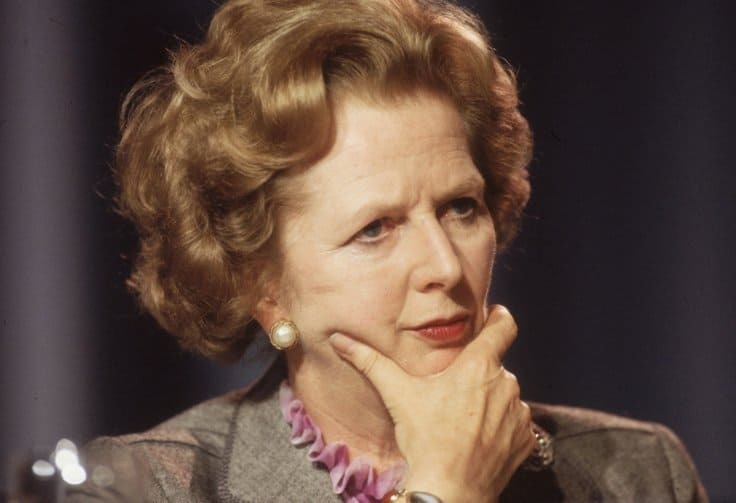 After the dramatic shaking-up of Britain’s economy under Margaret Thatcher, this all changed. Suddenly the big cities were booming and city folk, with newly fattened wallets and a hankering for the countryside, bought into towns and villages around the country for second homes or to put down roots and start families. Money poured into rural communities, with good and bad effects. Many hitherto neglected communities had a new lease of life. On the other hand, farming communities and traditional manufacturing industries were famously decimated. Entire communities in parts of the country were gutted, while in other areas quiet towns and villages suddenly became property hotspots. If the changing shape of today’s London economy is an indication of how the UK property values will change, it may be a sign of good news on the horizon. More and more of the cutting-edge new small businesses being set up are in incredibly mobile, footloose industries – technology companies, specialist services and the information economy are all pretty much free to work where they please. While the allure of central London will persuade some to fork out extra for the capital’s ever-rising rents, plenty of other businesses are already moving out into the country. The government has even promised to make rural broadband a priority, realising that plenty of property buyers would move out into the great British countryside if only they could get a decent phone signal and stream their favourite BBC soaps. In the end, what do all these UK property values’ madness mean for investors? Only time will tell.